When people, energy, and ideas come together in downtown workplaces, everybody wins. 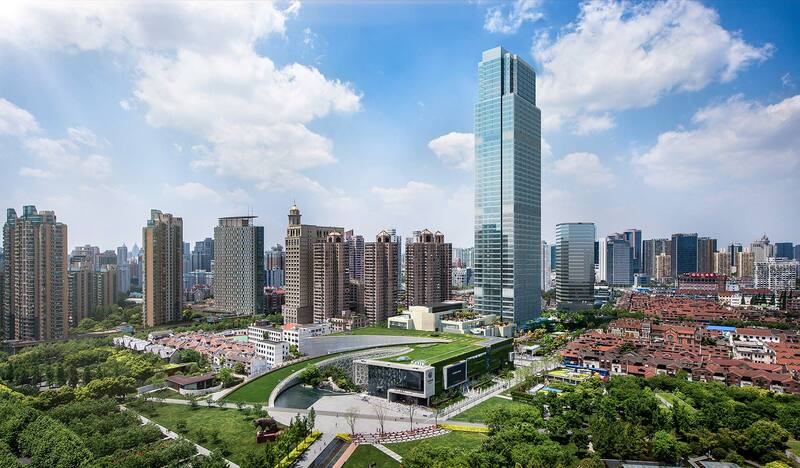 Above: One Museum Place, a state-of-the-art office tower, expands upon the rich urban fabric of Shanghai’s Jing’an District. Cities around the world — from Chicago to Shanghai — are urbanizing rapidly, with a new focus on density and urban character. People are flooding to cities because they are economic engines, and work is an integral part of the mix. That’s attracting more corporate residents, who are relocating to downtowns to be closer to a younger labor pool. Consider Amazon’s multicity competition. One thing that competition did was force cities to consider what makes them attractive. Above all, the search confirmed their ideal communities as “hubs of talent, innovation, and quality living,” writes Amy Liu for Brookings. Workplace is not new to urban development, it’s just being considered on broader terms. And when a company locates inside city limits, it spurs development in infrastructure, housing, and amenities that benefits cities too. Because of the desire for more vibrant urban environments, legacy development patterns that were disjointed and car-centric are giving way to “districts that work together, learning to intertwine uses into a seamless whole,” says Gensler’s Ross Conway. Shanghai's Jing’an District has long been a residential, social, and retail hub. Of late, it has been the focus of Shanghai’s efforts to stimulate innovation and entrepreneurship — but balanced in a way that fosters integrated development. A major step was moving the Natural History Museum into the Jing’an Sculpture Park, which transformed the district into a cultural destination fed by a new metro hub. 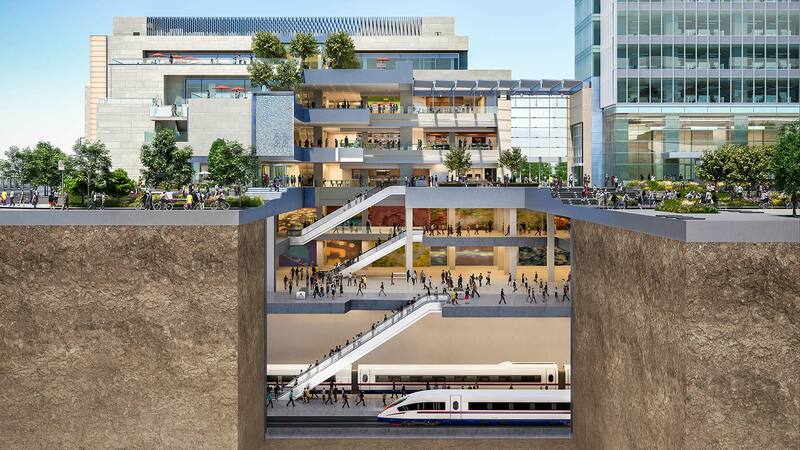 “The promise of that transit connection is what justified a building of the scale and scope of One Museum Place,” says Gensler’s Russell Gilchrist. Built by US developer Hines, the 54-story project is the first office tower to enter the district. But it is more than just an office building. It is a culturally anchored mixed-use development that amplifies the existing city fabric. One Museum Place shifts the office tower paradigm. Rather than standing on its own as an icon for the skyline, it embraces the city, with a retail podium that spills out onto the street to create public dining, shopping, and leisure amenities. Like New York’s Hudson Yards, with its connection to the High Line, the transit routes and complementary entertainment and cultural uses here are also building new mixed-use districts that work plays into. Combines two historic lofts into one sleek business and retail destination. Similar projects can be found in US cities. Even though values innate to urban density have always been palpable in New York, the city has been experiencing a shift in its centers of gravity. Manhattan neighborhoods like Chelsea have seen an influx of companies, especially creatives and tech, relocating outside of Midtown to be closer to where the talent lives and to be part of 24/7 communities. Straddling two of these most vibrant neighborhoods — SoHo and Hudson Yards — One SoHo Square sets up a new archetype of adaptive reuse. Gensler and Stellar Management combined two historic lofts into one sleek business and retail destination that preserves their pre-war aesthetic within the context of a 21st-century workplace. That means not only updating, but upgrading and opening up floor plates, walls, and windows. Since renovation began, the property has seen an influx of new tenants from the consumer products and tech industries, and an uptick in retail. The best workplaces will take on a synergistic relationship with their local communities — leveraging existing assets, providing amenities, and creating local partnerships that benefit companies and their local communities too. The repositioning strategy maximizes valuable rentable space and adds sought-after amenities to the property — a tenant-only rooftop deck, concierge, secure bike facilities, and private outdoor terraces. Refreshed and expanded retail storefronts on the ground level integrate the architectural language and unify the two buildings, while providing frontage in the popular shopping district. It wouldn’t be New York without the subway, and One SoHo Square sits atop the C and E trains, making for a convenient commute from most parts of the city and major transportation hubs. Redefines not only the skyline, but also what it means to be an office in downtown Austin. In Los Angeles, the L.A. LIVE district has grown into an entertainment area out of its cluster of sports events and conventions. Similarly, as Austin blossoms into a major tech hub, its Second Street is emerging as a destination too — but there it’s work-driven. Integral to the redevelopment of the Second Street corridor is a four-block mixed-use development that connects two of Austin’s most vibrant neighborhoods. 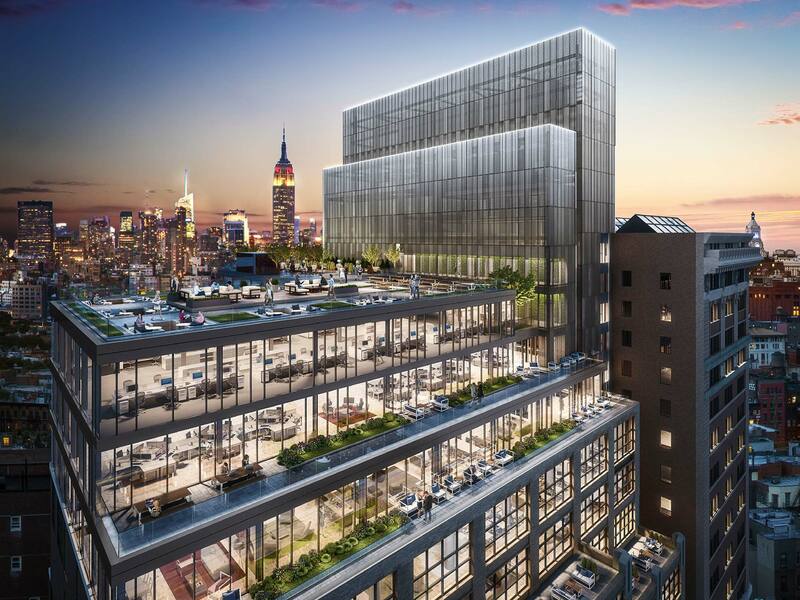 With 500 West 2nd Street, client Trammell Crow is seeking to tap the tech market, with office floor plates that are intentionally larger than typical office buildings to attract technology companies. 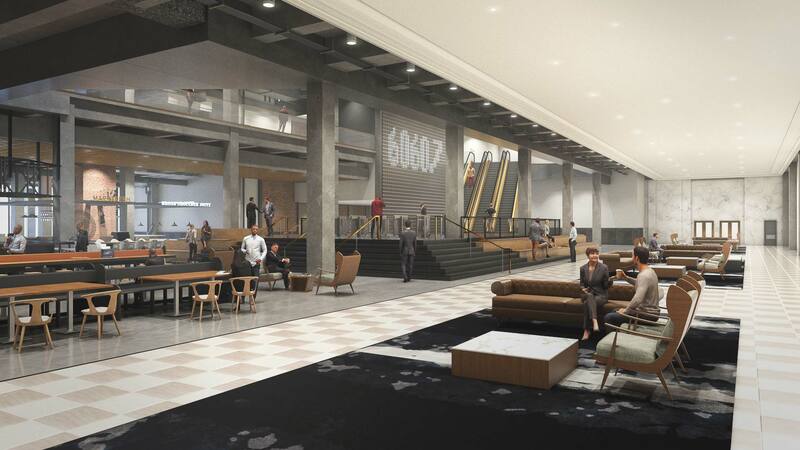 On the first floor, the building responds to its urban setting with retail spaces on both sides of the lobby, and restaurants that spill out onto outdoor patios, which are common in the district. 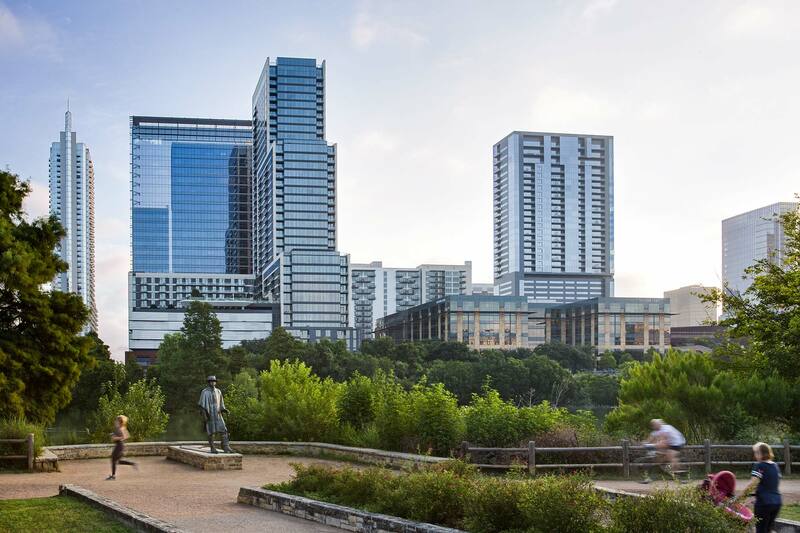 Ultimately, the pedestrian-friendly development has become a new destination that not only reflects the character of Austin, but balances values like mobility, livability, culture, density, and diversity. Companies that in the past were drawn to suburban campuses are now kicking back toward the center of the action, a move that’s perceived as crucial to maintaining a competitive edge, attracting talent, and convening a larger community of collaborators. GE, for example, relocated its global headquarters to Boston to tap the city’s talent network, says Gensler’s Arlyn Vogelmann. 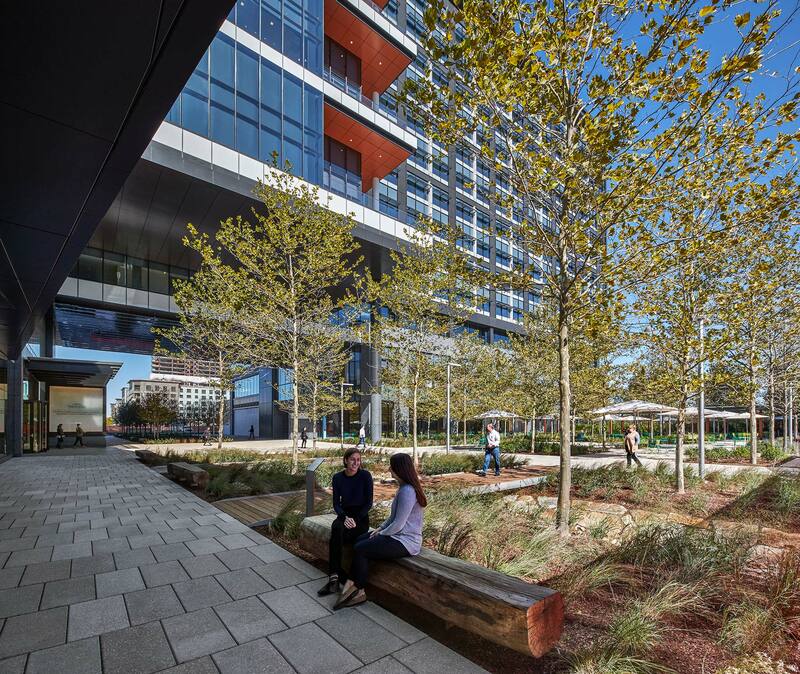 Eschewing its former suburban Connecticut location, GE wanted to take advantage of the urban neighborhood — with places to live, transit connectivity, art and culture, and the walkable Seaport. Meanwhile, the company is embracing a work style transformation that favors collaboration, openness, and flexibility with area partners. GE’s new space will act as a convener for the organization and for the broader community, including universities, startups, and nonprofits. For developers today, everything takes a mixed-use perspective — it’s about vibe, environment, and community. Also, the company will host a Brilliant Career Lab, a hands-on STEM program for Boston Public School students. GE is tapping into Boston’s innovation ecosystem to enable new ways of thinking and develop new partnerships and products. Cities are also urbanizing at their edges. And what was the periphery is now knitting into the larger urban center. Being on the edge has its advantages too — transit connection to other areas opens up the opportunity to densify in place. For Partners HealthCare, creating a central campus in an urban area was an effort to improve productivity and collaboration. Its 11-acre site anchors a new 24/7 mixed-use development in Somerville, a city just north of downtown Boston. By relocating all 4,500 of its administrative people into one location, the company saved operating costs of $10–$13 million annually. Unites administrative functions in one amenity-rich location. Over the past few years, downtown Chicago has been in a building boom, with companies like McDonald’s moving to the city center. New towers are rising, but there is also a lot of existing building stock that developers are scooping up for more authentic spaces. 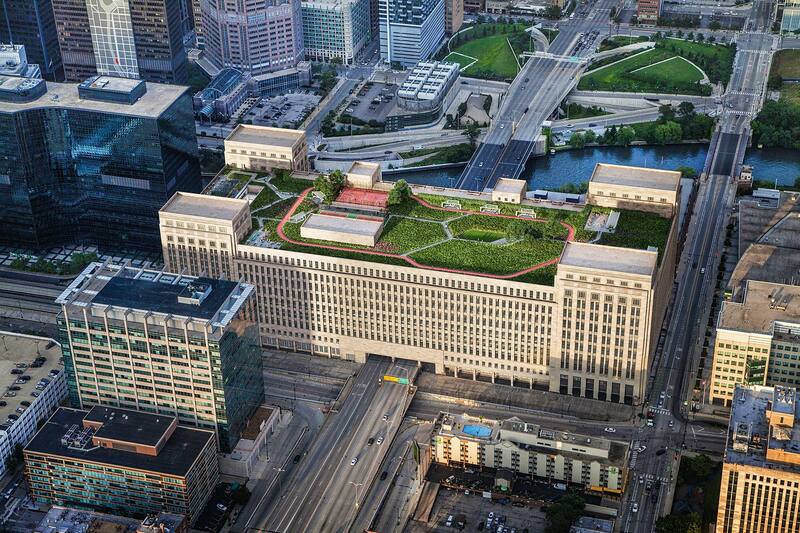 Chicago’s 1921 Post Office is an icon in the city and a gateway from the west. For over 15 years, it has been lying dormant. It’s a diamond in the rough at the edge of downtown — a mammoth 2.5-million-square-foot conglomeration of buildings with uneven floor plates and historic elements that are now some of its greatest qualities, perfectly suited to new work patterns. Suddenly the building is no longer a stranded asset. As workplaces set anchor in cities, the two are increasingly intertwined and catalysts for each other to grow and innovate. Through historically minded repositioning, developer 601W Companies opened up the walls between the buildings, creating a loft-like environment that gives tenants a range of atmospheres, flexibility, and connectivity. “We are creating a community through a network of buildings that provides movement and choice for people who come to work,” says Gensler’s Sheryl Schulze. Connectivity is key to the project’s high expectations, with Metra and Amtrak running continuously below the building and the Eisenhower Expressway dividing the first floor. As workplaces set anchor in cities, the two are increasingly intertwined and catalysts for each other to grow and innovate. That’s because the power of urban is ultimately about people: how we connect and thrive with purpose. The same power is what’s driving work today. That’s why the best workplaces take on a synergistic relationship with their local communities — leveraging existing assets, providing amenities, and creating local partnerships that benefit companies and their local communities too. Elizabeth Snowden is a writer/editor at Gensler, based in San Francisco.